Aren’t you just ready for Spring? 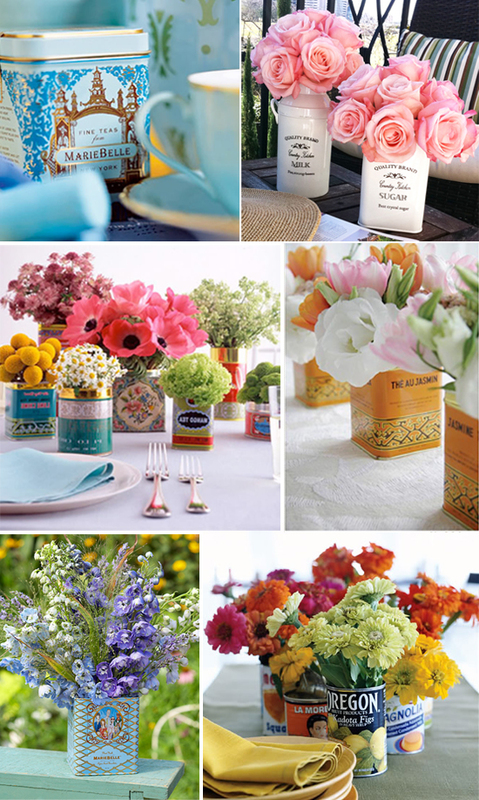 These photos, found on Eclat Events via Little Sooti, are making me want to have a “Welcome Spring” party. The use of cans and tins as a vase isn’t particularly new (I’m thinking of Italian restaurants with flowers in tomato cans), but there are so many updated ways to do it, as these photos show. Imagine a wedding like this. Lovely. But even alone next to your nightstand, wouldn’t one of these look smashing? Or maybe as a hostess gift? Nah… Better to get a ton of them and deck out a table. No, but really, any way you use this beautiful idea, it’s a good one! This entry was posted in idea thief and tagged centerpiece idea, flower vases, party centerpiece, vintage tins by Annika. Bookmark the permalink.